Cebu birdwatching gets recognition as The Department of Tourism (DOT) and BirdLife International Inc. (BLI) have signed an agreement to support a bird conservation program as part of its strategy to promote birdwatching tourism in Cebu and other parts of the country. Tourism Secretary Joseph “Ace” Durano said the DOT is promoting Birdwatching Phillipines as part of its adventure tourism packages. It was declared the “species champion” for the Cebu Flowerpecker during the 2009 British Bird Watching Fair. ”The country has a very big potential in mainstream tourism that’s why we are pushing tourism traffic in the interior,” Durano said. Durano was in Cebu for the ceremonial signing and press conference of the Species Champion Agreement of DOT and BirdLife International Inc. (BLI) at the Marco Polo Hotel in Lahug, Cebu City, announcing the Cebu birdwatching agreement. 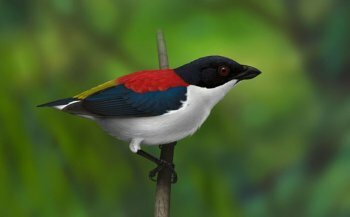 The critically endangered Cebu Flowerpecker was once though extinct until it was rediscovered in 1992 in pocket forests in the hinterland barangay of Tabunan in Cebu City. Of the 200 bird species in the Philippines, the Cebu Flowerpecker that is found in Alcoy town ranked third among the rarest birds in the country. ”This creates instant awareness and consciousness. If you are a birdwatcher, you will be compelled to consider Cebu birdwatching as your next site,” Durano said. “This bird has never been photographed and this further creates mystique,” he said. He said Alcoy town residents can become tour guides to help locate and identify the birds for Cebu birdwatching. Durano said birdwatching is relatively cheaper compared to other tourism activities such as scuba diving and golfing. “All you need is a pair of binoculars,” he said. He said a big market for birdwatching exists. Michael Lu, president of Wild Bird Club, said there are about eight million birdwatchers in the world. Birdwatching is also one of the fastest growing recreational activities in Europe and the United States. Birdwatchers have better chances to encounter the Cebu Flowerpecker from September to December. Richard Grimmet, head of conservation and manager of the preventing extinction program of BirdLife International encouraged Cebuanos to do whatever they can to support the conservation and preservation of birds and their habitats. BLI classified 190 species as critically endangered in the 2008 IUCN Red List because of their very small and declining populations and ranges. BLI and its local partner Haribon Foundation Inc. appointed the Cebu Biodiversity Conservation Foundation Inc. (CBCFI) as the species guardian for the Cebu Flowerpecker and other endemic species and habitats in Cebu, and to assist in Cebu birdwatching. Lisa Marie Paguntalan, research director of the Cebu Biodiversity Conservation Foundation, encouraged politicians to recognize forest conservation and to adopt conservation education as part of their agenda, so Cebuanos will understand how their everyday lives affect the environment.